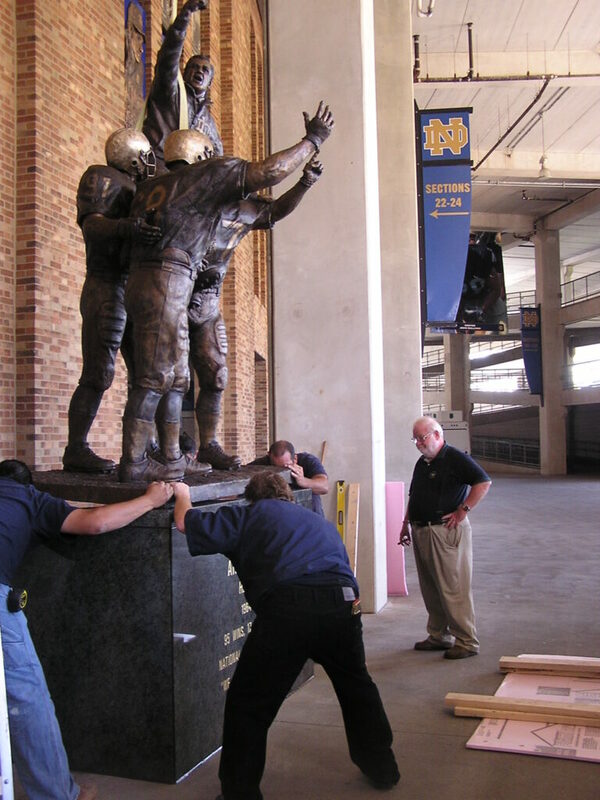 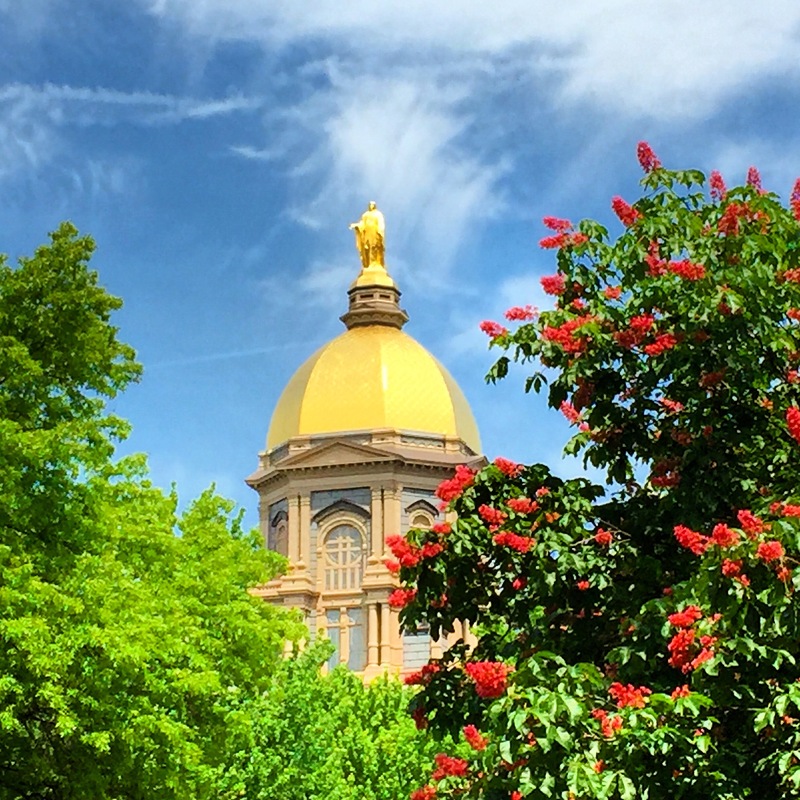 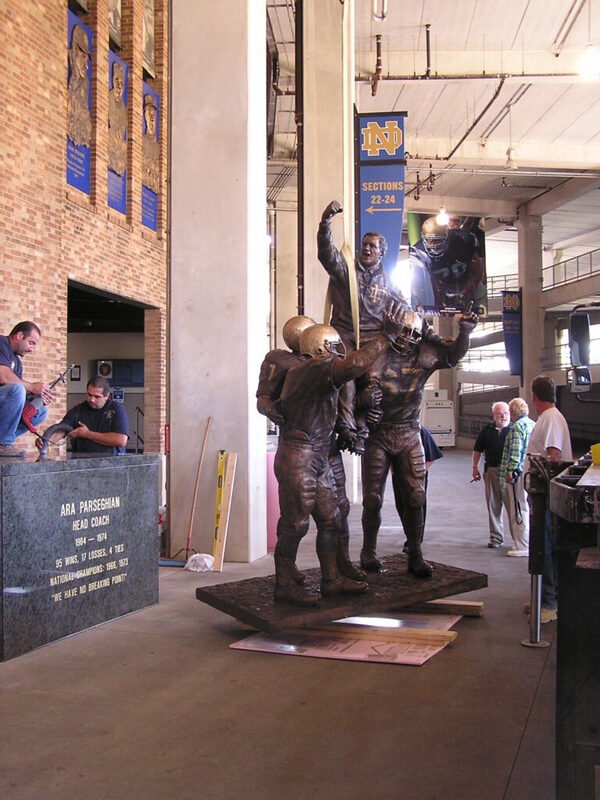 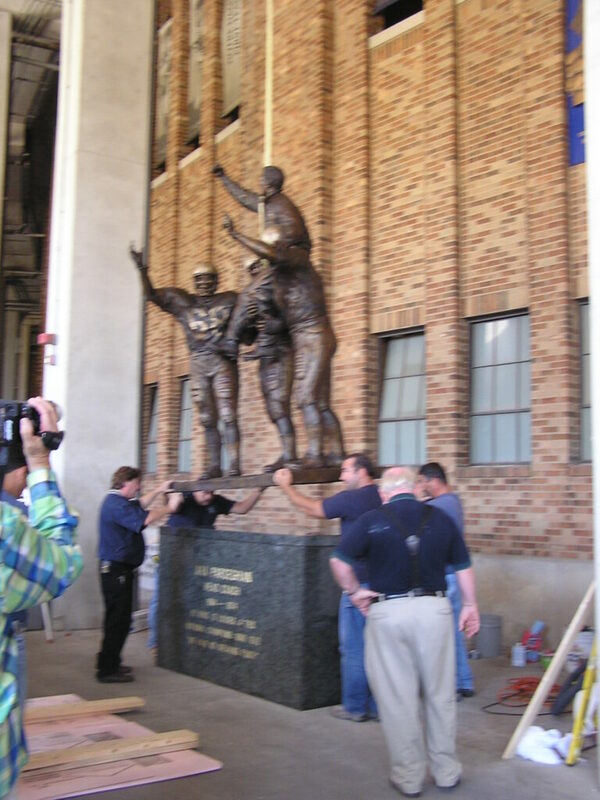 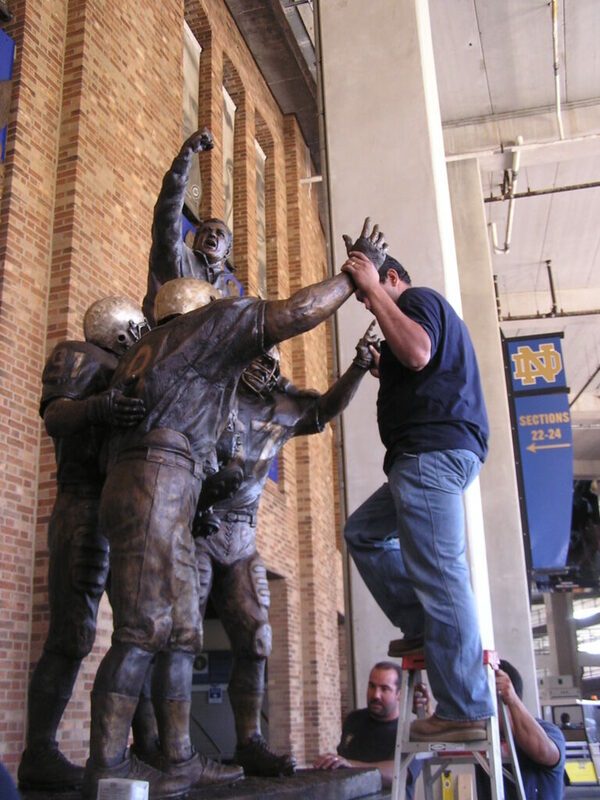 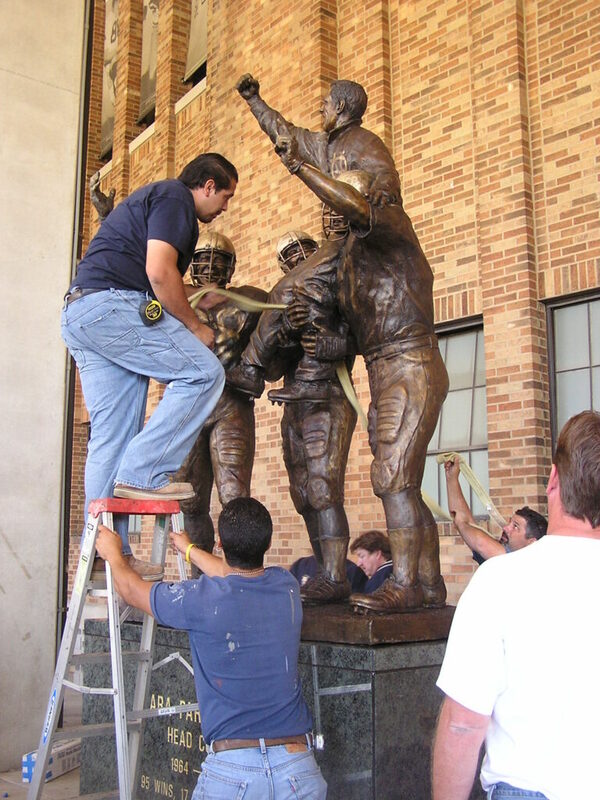 Daprato Rigali was honored to install the statues of National Championship winning coaches around Notre Dame Stadium. 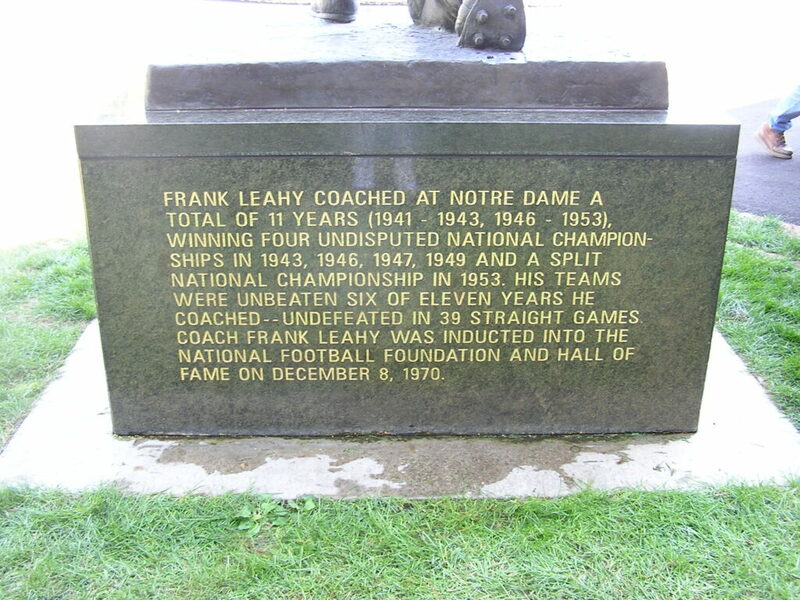 This project was of a special significance to our business because of the fact that Joseph Rigali (Son of John E. Rigali) was a member of the 1924 National Champion team under Knute Rockne, and Robert Rigali Sr. (Grandson of John E. Rigali) was a member of the 1953 National Champion team under Frank Leahy. 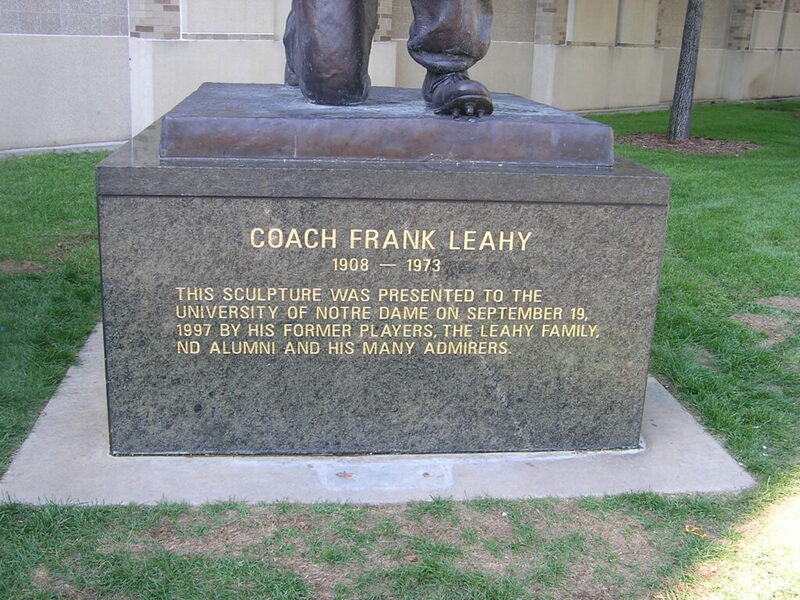 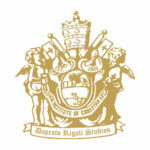 They both went on to work for Daprato Rigali following their graduation from the University of Notre Dame. 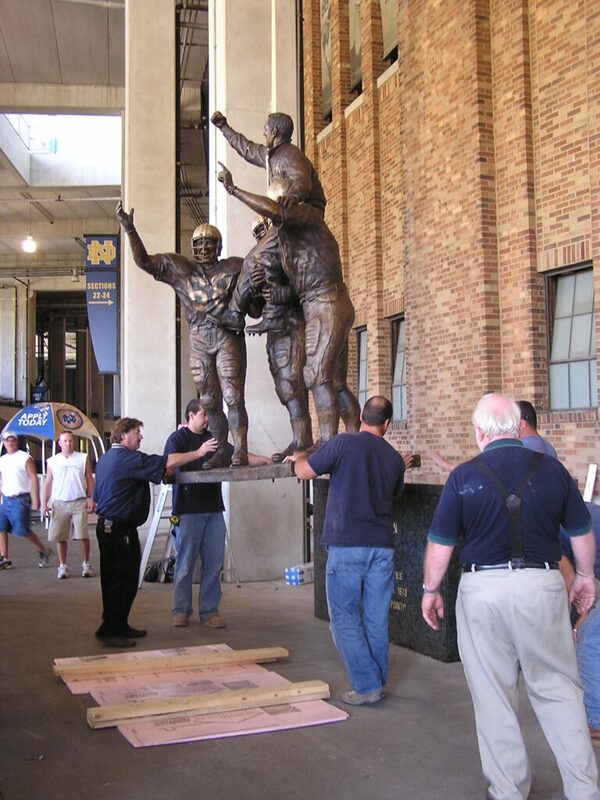 Both Rigali men played the halfback position, and told fascinating stories about their old Coaches.